Day 2 - Sail towards Nea Fokea with stops to Metamorphosis, Potidea for swimming. 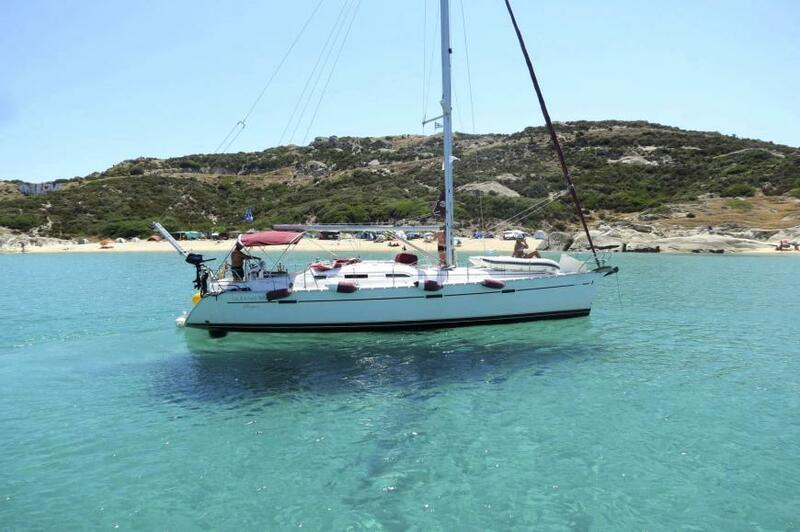 Day 3 - Sail the east side of Kassandra with stops for swimming and the famous beach bars for a dip in cosmopolitan Halkidiki. Destination Miraggio marina at Kanistro. Day 4 - Sail around Sithonia South end with stops to Kalamitsi and Klimataria. Destination Skala Sykias with its scenic taverna's for the night. Day 5 - Around Sithonia with stops to Kriaritsi, Marathias all the way to Porto Koufo and its fresh fish taverns.